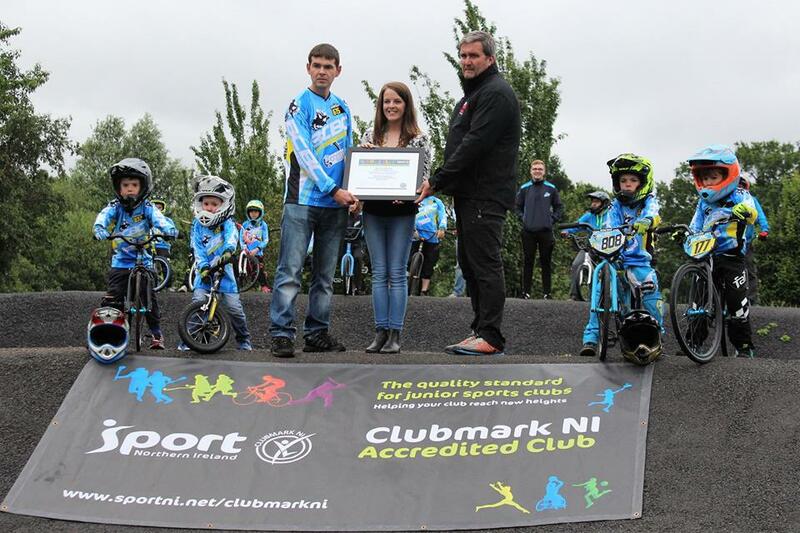 We have done it, we have been awarded Clubmark status, Committee members AccessNI checked (criminal record check) first aiders qualified, coaches qualified, members of Cycling Ireland and now accredited Clubmark, BCBC have set the standard being the first and only cycle club in the country to make this grade, at the heart of this achievement is our standard of equality and safety in sport for all, regardless of background or ability. Thanks to Paddy McGrattan, Janine Crawford & Ryan Haire from Belfast City Council, Dino Jeffers from Deaf BMX, Alan Heary & Gary McKeegan at Cycling Ireland and Tom from EMS for their help. Bcbc were presented with this certificate by Lord Mayor Councillor Nuala McAllister when she came to visit the club and wished members travelling to the forthcoming European championships good luck. Full article here. and of course some pictures here.